Terry is reputable, and he works with integrity. He works with integrity. He came out to the jobsite, and he did more than what he committed to doing. They left the property immaculate. He did what he said he would do. We didn't agree on the pricing, but we ended up working it out. I appreciated him working with us. They took the trees down in a safe manner. I was confident using them. They have an eye for how trees should look. They made the trees look amazing. 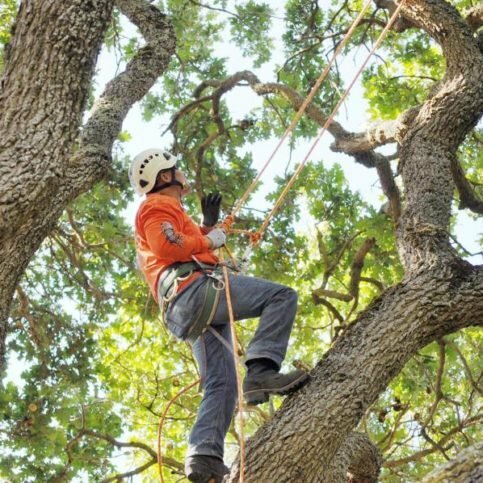 Terry’s Tree Service, Inc. provides a complete range of tree services for residential, commercial, and industrial clients in parts of Alameda and Contra Costa Counties. In addition to planting, trimming, shaping and removing all types of trees, the company offers specialized services that include yard cleanup, pet rescue, fire prevention, brush chipping, stump grinding and more. DIAMOND CERTIFIED RESEARCHED CAPABILITIES ON Terry’s Tree Service, Inc.
Company Name: Terry’s Tree Service, Inc.
DIAMOND CERTIFIED RESEARCHED ARTICLES ON Terry’s Tree Service, Inc.
Terry’s Tree Service has been providing tree services for residential, commercial, and industrial clients in Contra Costa and Alameda Counties since 1997. The company plants, trims, shapes and removes all types of trees, and it also offers specialized services such as yard clean-up, pet rescue, fire prevention, brush chipping, stump grinding, and more. 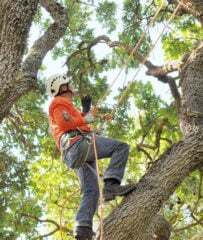 Hiring a tree company that adheres to certified arborist standards is important for maintaining the health of your trees. Most homeowners don’t think about the health and safety of the trees on their properties until they’re confronted with problems, and even then, many hire the cheapest tree companies they can find. However, hiring the wrong company can actually endanger the health of your trees and compromise the safety of your home and family. Q: Can you tell me what’s wrong with my tree over the phone? A: We can provide some information over the phone, but we can’t do an accurate diagnosis or analysis without seeing the tree first. After we meet with you for a one-on-one consultation, we can give you the right information and make you feel comfortable with the work that needs to be done. Q: Will I get a real person on the phone if I call after business hours? A: Yes, you’ll always talk to a trained tree professional when you call us, whether it’s during normal business hours or in the middle of the night. Q: Can you help me if my trees are overgrown? A: Yes, we provide tree trimming and shaping services, which are very beneficial for overgrown trees. Q: How do you choose your employees? A: We carefully screen potential employees and only hire the best professionals to work for us. Our customers expect us to be honest, reliable and timely, so we only keep people who are willing to adhere to those standards. SELECTED PHOTOS FROM Terry’s Tree Service, Inc.
LIVERMORE — The upkeep of trees on a property is an important yet often overlooked aspect of home maintenance. In addition to having their health periodically assessed by a professional, you should keep your trees well-trimmed via regular pruning and periodic canopy thinning. Thinning the canopy of a tree typically consists of removing elements like deadwood, cross branches and excess growth. In addition to improving a tree’s ventilation (allowing wind to pass through the tree more freely), thinning results in weight reduction, which lessens the strain on a tree’s trunk and roots. Furthermore, thinning a tree’s canopy increases sunlight exposure to its interior branches and your overall property. When it comes to trees growing near your home, it’s also a good idea to trim branches away from your roof line. When a tree’s branches come in contact with your roof, they can provide easy access for rats, squirrels and other rodents, which can then find their way into your attic. In addition to potentially bringing various insects and diseases into your home, rodents can pose a fire hazard if they start chewing on your electrical wiring. If you’re unfamiliar with proper tree trimming techniques, consider hiring an ISA Certified tree company to perform the task. Remember, by proactively maintaining your trees, you’ll not only make your yard a safer and more enjoyable environment, you’ll also increase the value of your home and property. LIVERMORE — Host, Sarah Rutan: In caring for your landscape, its important to know how to properly prune your trees. Today we’re in Livermore with Diamond Certified Expert Contributor Terry Powell of Terry’s Tree Service to learn more. Diamond Certified Expert Contributor, Terry Powell: So by cleaning out and thinning and properly maintaining the tree and cleaning out and thinning out of deadwood, cross branches, sucker growth, green growth in most cases, you are allowing the wind to pass through it. The weight reduction is headed back to the next crotch heading up turning that into the dominant leader staying with ISA arbor standards. This makes the tree a lot healthier, happier and also cuts down on risk of falling due to high winds or extreme heat. The other thing is that by safety pruning away from the roof line, you are detouring from rats, squirrels, rodents so on and so forth that may make nest in the attic and of course that brings in different bugs and diseases and could even be a fire danger if they get into chewing up the wiring. So, again by having the trees properly cleaned out and thinned and maintained, you are increasing the property value and you are giving yourself piece of mind. Diamond Certified RATINGS ON Terry’s Tree Service, Inc.
Terry’s Tree Service, Inc. : Average 9.2 out of 10 based on 174 unique customer surveys of customer satisfaction. They grinded a stump. They were quick and fast at scheduling the work. They do good work. They were accommodating, and they even came out during the weekend, a very professional company. It's just an overall good service for a great price. We have used them multiple times throughout the last couple of years. I thought they were good, and I think I would use them again. It's a pretty straightforward service. I liked that they took direction. I feel like any other tree service is hard to go to work on your trees without speaking with you, so yeah, they took time to figure out what we wanted to have done. My trees look wonderful now. I would recommend them. They showed up on time, and they did the best job any company has done on my trees. I have used them five times. I have used them for trimming trees and digging out shrubs. They have moved many cubic yards of redwood mulch. When they are done, they clean up, and it is like they were never there. They show up to give you an estimate when they say they will, and I find that they do a good job. They have good attention to detail. They have always been reliable and professional. They do good, thorough work, and they're personable. Their estimates are fair, and they know trees and other related bushes. I like the fact that they recognize that I'm a regular customer, and they give me a very good price because of that fact. Quality is their top priority. I would tell a friend to use them. They were skilled, and they did a very nice job. They were on time and had fair pricing. They did a good job, and they were friendly. They were great with cleaning up too. The job overall was great. The owner was very responsive and involved. The job was completed when they said it would be. They were very convenient, helpful, and got the job done. They left the property a little cleaner than it originally was, which was great. I would recommend them, I guess. They were very prompt and very thorough. They were professional, and they performed the services as we agreed to. They do what they say they are going to do when they say they are going to do it. They also do it for the price they say they will do it for. He has been around a long time and that is important.